Summer is approaching and I am looking forward to lighter layers and brighter colours entering my wardrobe. There is nothing more essential in hotter weather than a simple tshirt. They are just oh so comfortable and easy to wear. I have a whole bunch of different designs waiting in my wardrobe but there is always room for more. 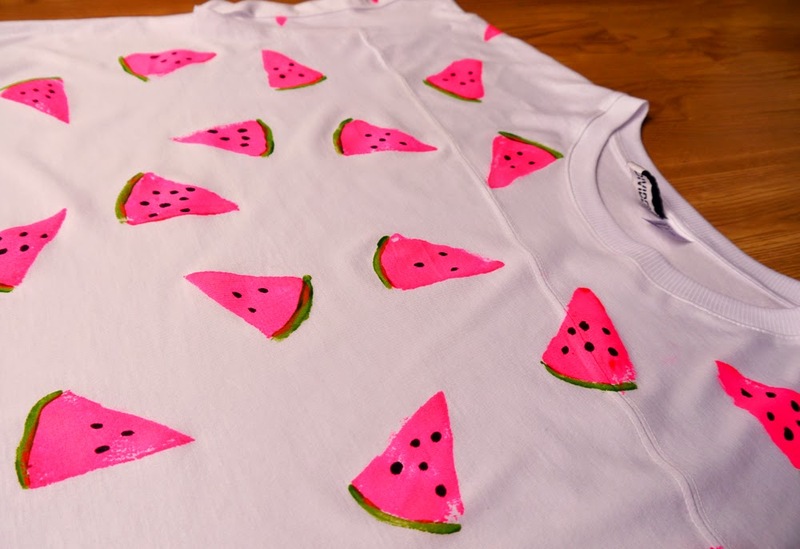 I am loving the fruity patterns that are appearing at the moment so I thought I'd jazz up a simple H&M tee with some tasty watermelon slices. Fancy one of your own? Here's how. 1) A sponge. I used a little kitchen one that I got from Asda. 2) A roller. Not an essential piece of kit but rather handy. A rolling pin / wine bottle wrapped in cling film would also do the trick. 3) Scrap paper / cardboard / newspaper. 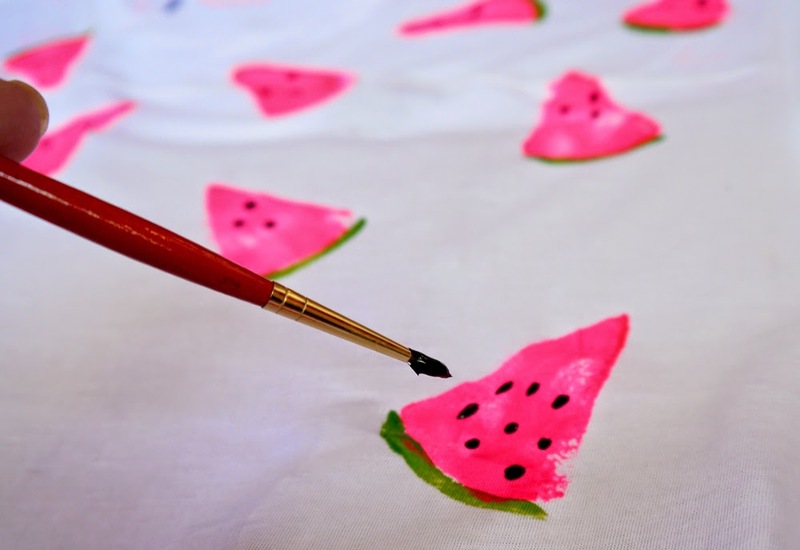 4) Fabric ink in pink, green and black. Mine are from Handprinted and Wicked Printing Stuff. 7) Tray. Or at least a surface you don't mind getting inky. 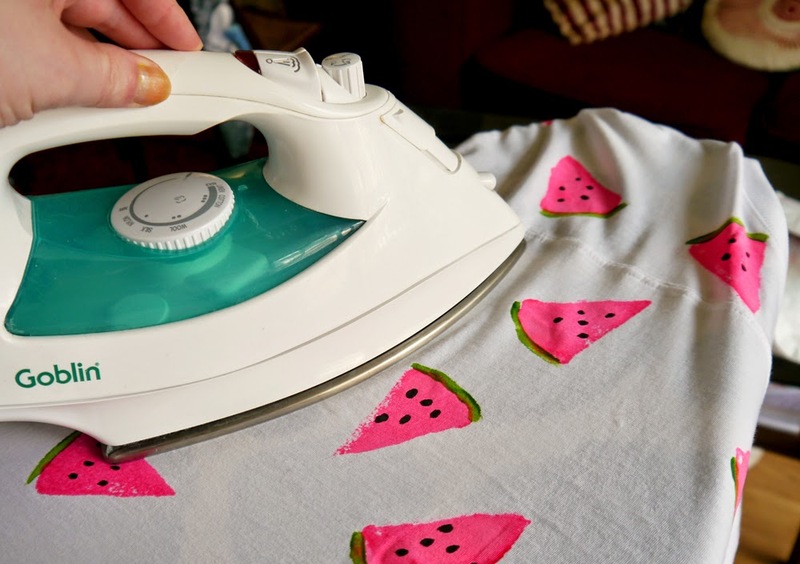 Iron your tshirt (if needed) and then lay it out flat. Take your scrap paper or card and sandwich it inside the tee. This is to stop the ink bleeding through to the back. 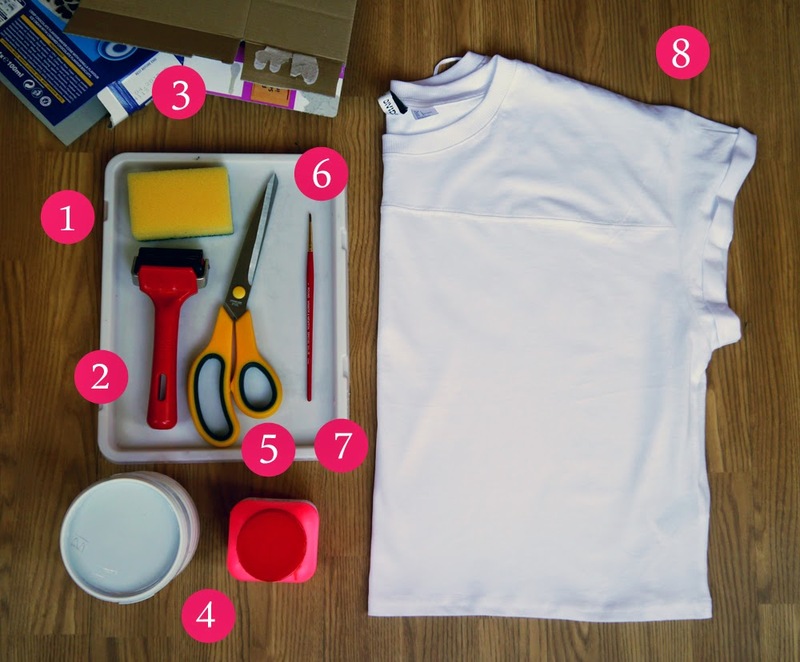 Make sure all areas of the tshirt that you are going to print on have a layer of paper underneath. 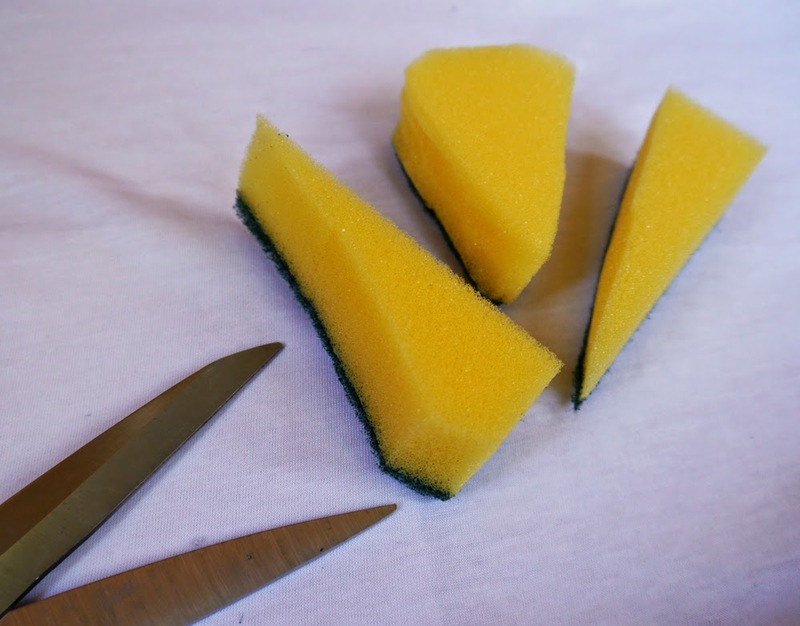 Cut your sponge into a triangle / watermelon slice kinda shape. I didn't worry about being too precise as the sponge is quite soft and won't print exactly as cut. This was all part of the painterly look I was going for. 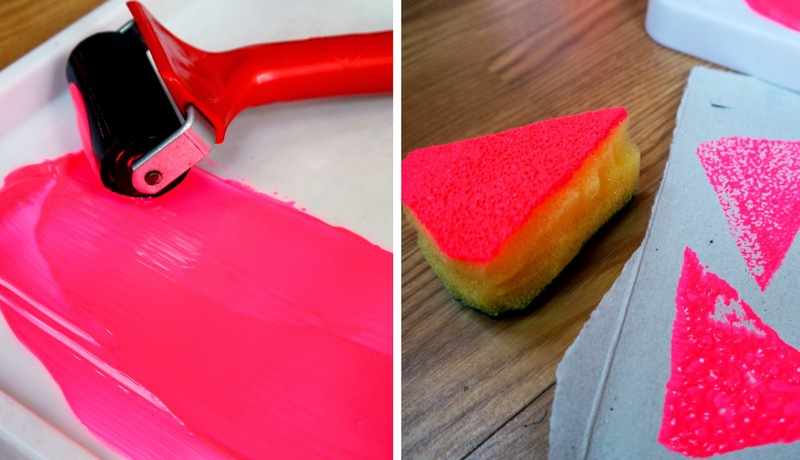 Role out your pink ink so it's even and place the sponge in it. Make sure the bottom of the sponge is fully covered. You can do some test prints onto paper to make sure it's looking the way you want it. 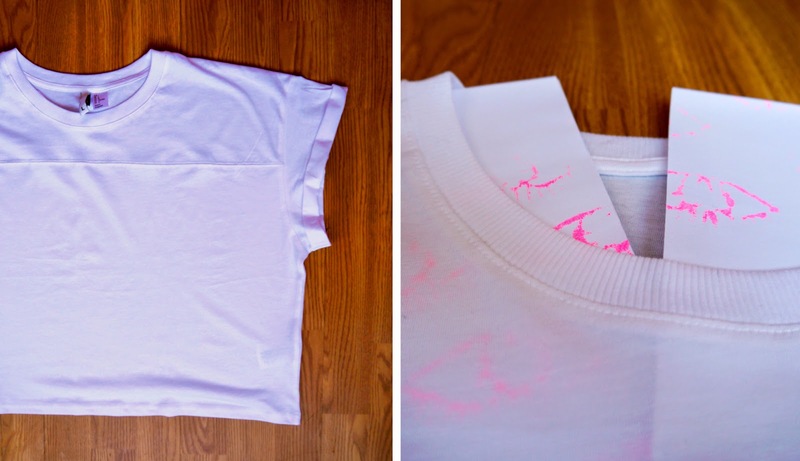 Get printing on your tee. You can measure out the placement of your design before you start or just go for a random arrangement like I did. 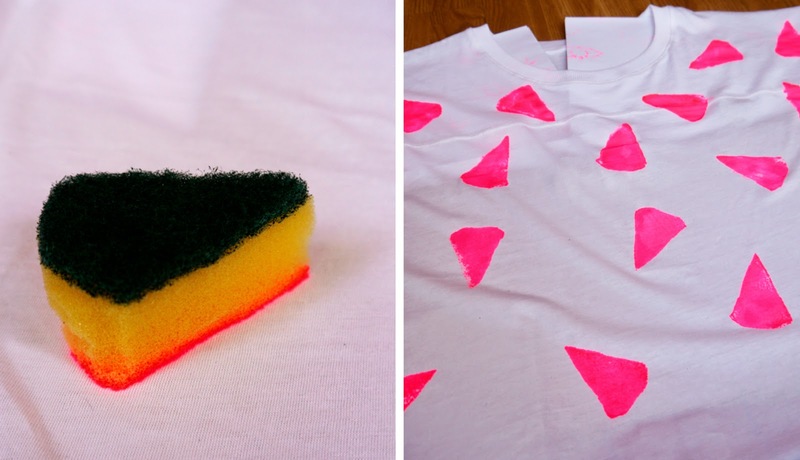 Make sure you press down firmly and re-ink the sponge before printing each slice. Get some green ink on the go. I didn't have any to hand so mixed my own. 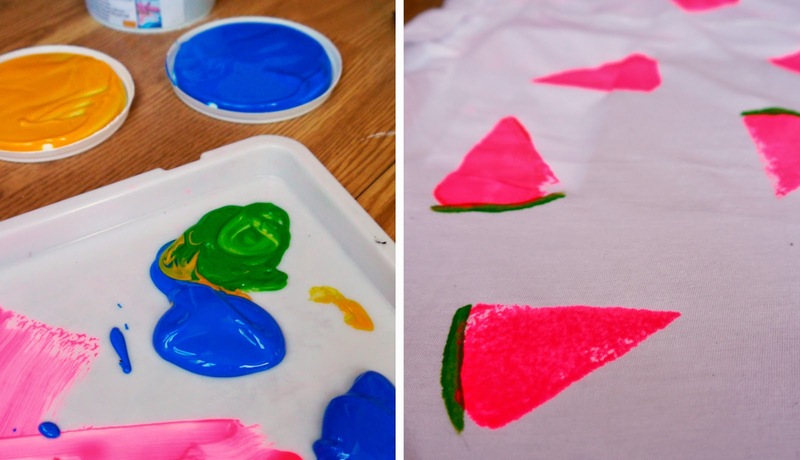 Use a paint brush and paint a line of green along the shortest side of each triangle. Clean the green off of your brush and then dip it in some blank ink. Use this to add the seeds to each slice. Go for as many or as few as you fancy. I did a mix, mostly because I was making it up as I went along. Wait for your ink to dry. I left mine overnight which worked out fine and dandy. Get your iron on and heated up and then hold it on your design for 20 - 30 seconds. This will fix the ink and means you can wash your new tee without worrying about dying the rest of your clothes. Make sure you fix each part of your printed design. Voilà! You are done and ready for summer! Get the cocktails on the go and relax on the beach in your new tshirt. You may need a cardigan / rain jacket / parka over the top though. I can't guarantee the sun will be shining but your new tee will help you to pretend. 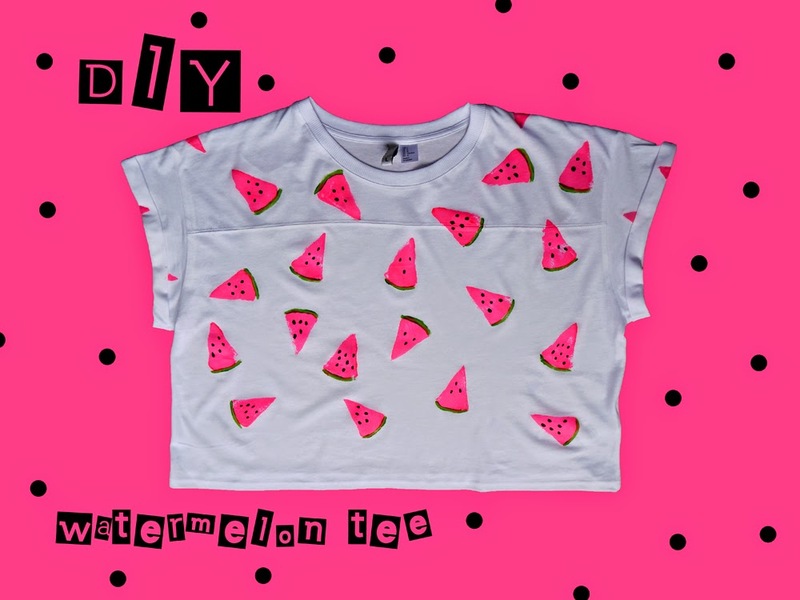 Aww I adore this DIY, this is such a simple idea and it looks so effective! !